Summary: Is it possible to describe the awesome character of God with one Word. All that he was, is, and shall be. Yes!!! 1 John 4.8 "God is love" This examines God as the source of love, our fruit of love, confidence in love, and conviction of love. How in one word could you sum up all that is God? Can you this morning think of one word or a phrase that completely and adequately tells us who God is? Is it possible you say? Can you so simply state the totality of who God is? Is it possible to communicate the infinite unending; graciousness, goodness, and grandness of God in one word? His apostles could. There was one that was spoken of as being especially close to Jesus that wrote a letter about the infinite goodness of God. It is the apostle John. In his first letter there are 105 verses according to Charles Stanley. In those 105 verses love is mentioned no less than 40 times. The phrase that we must take notice of in this letter is 1 John 4.8 God is love. 1) Idea – that the way to God was a special form of knowledge, not salvation from sin. b) The Greeks seek after knowledge and the Jews a sign. 1) Instead of intimate knowledge of Father and son. 2) James 2.19, The demons also believe and shudder. c) Knowing about God does not lead to love. 1) Gnostics were released from ignorance not sin. 2) John is providing orthodox answers (correct pure doctrine (teaching)). 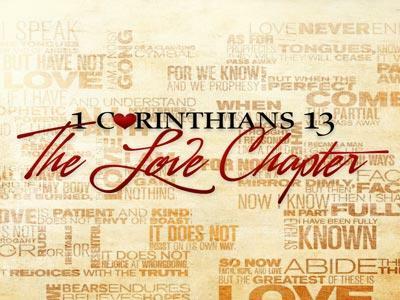 3) KJV 1 Cor 8.1 Knowledge Puffs up (makes arrogant) prideful but love edifies (builds up). 4) Release from sin produces love. d) It implies a past experience with continuing effects. When you have the experience of falling in love with someone you want to know them. It will be based off your first meeting. You will want to know more about them. What candy do they like, what types of hobies, do they like sports? Do they like you? 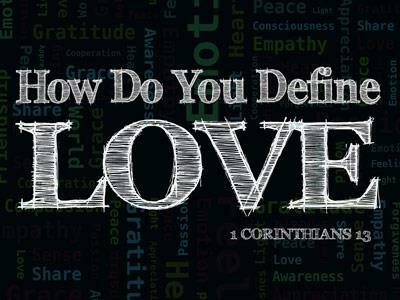 2) Knowing God should produce a God kind of love in your life. 3) God is the water spigot from which love flows but is also at the same time the very water of love for a dry and thirsty heart. a) The unseen source is supposed to be seen through us!! 1) because it was revealed by His Son. b) We are the light of the world. The illumination of God’s love in a lost world!! 2) We must model love with others who have received love. b) Do we want others to come home to Calvary to Come home to God? Then we must love one another. D) Cain is an illustration of not abiding in God. b) He instead did not abide in God but in the evil one. c) Cain neglected to give his all to God. God gave everything to Cain yet there was no evidence from Cain of thankfulness to God. 1) John 12.3 “Mary took a pound of very costly perfume of pure nard, and anointed the feet of Jesus and wiped His feet with her hair; and the house was filled with the fragrance of the perfume. Is it possible to describe the awesome character of God with one Word. All that he was, is, and shall be. Yes!!! 1 John 4.8 "God is love" This examines God as the source of love, our fruit of love, confidence in love, and conviction of love.